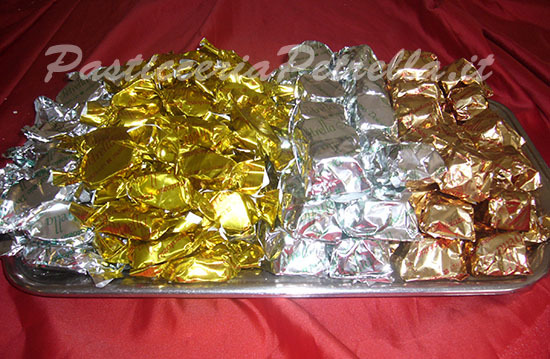 The traditional "torroncino" prepared with sugar, honey, selectioned almonds and then coated with black chocolate. We propose you with crunchy black chocolate taste. All in an elegant candy packaging.